MAC blushes generally are very pigmented, they last a decent amount of time, and their are so many colors to choose from. I just want them all. Blush really isn't my thing, but lately I've been obsessed with blushes and trying new ones out. Two seem to stay in my favorite category for quite some time now. I know figures a peach and pink color but on my skin peachy pinks look best on me. 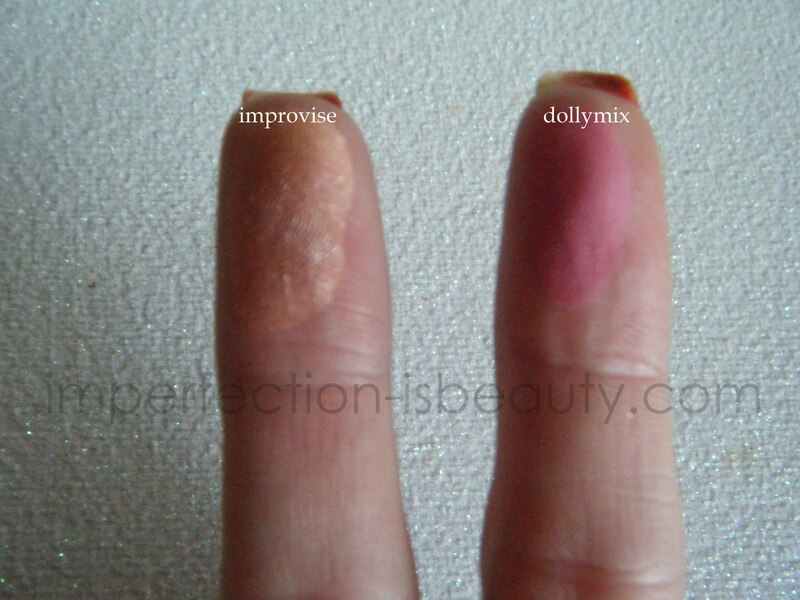 Dollymix is a pinky rose color. It lasts throughout the day, (on me at least) and it doesn't seem to wear off on these hot humid days. The more I think about it, the more I love because not only is it a fun summer color, something you could get away with wearing on the days your don't really want to do your makeup, to add a pop of color so you don't look like a monster, or even those cold winter days to make you look like your cheeks are rosy cold and you were just outside playing. This color is by far my favorite pink blush and I don't think I could ever be sick of it. It looks great mixing with some bronzes, or even the improvise. I don't think I have anything negative to say about this one. Improvise is yet another highly pigmented blush. This blush is one of MAC's mineral skinfinishes from The Colour Craft Collection. Its very light feeling and not to dramatic. 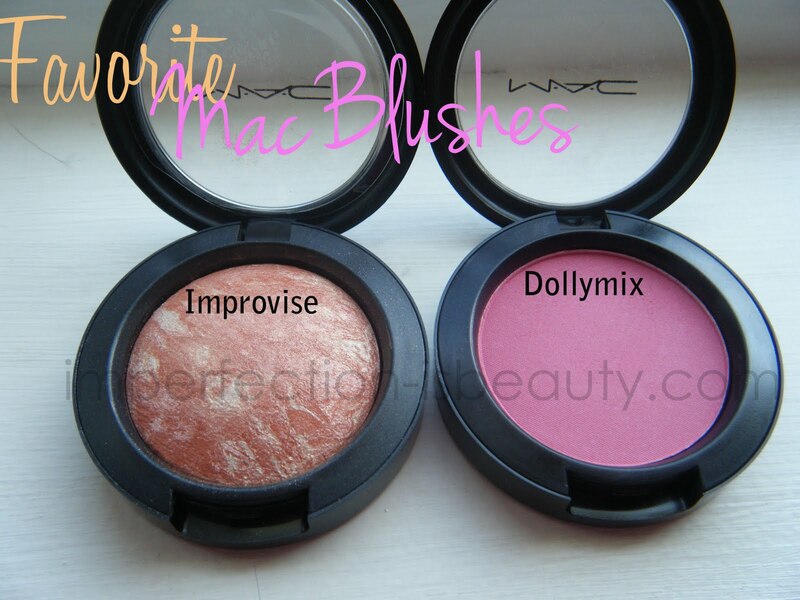 Improvise is more of a peachy blush with some gold bronze sheer to it. I love this for summer time but, you could also mix it with a little bit of a darker blush or bronzer for more of a warm look in the winter. If you wanted you could also get always with using this as highlight color. I actually have this on today and I"m loving it all over again. Again nothing negative to say about this one except I wish it was a little more easier to purchase, but what can ya do. i want dollymix too! my favorites are margin&all's good, but this would be a step out out of my usual neutral blushes! thanks for all your great reccomendations!